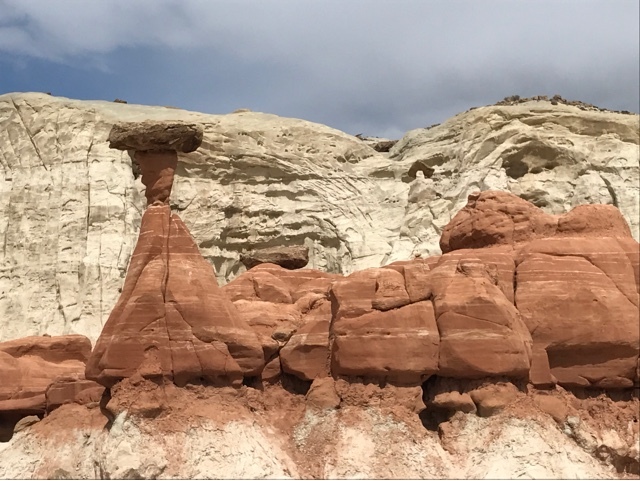 After winning The Wave lottery at the Kanab, UT BLM office that morning, I decided to head back to Page, AZ and go for a hike at the Toadstools. 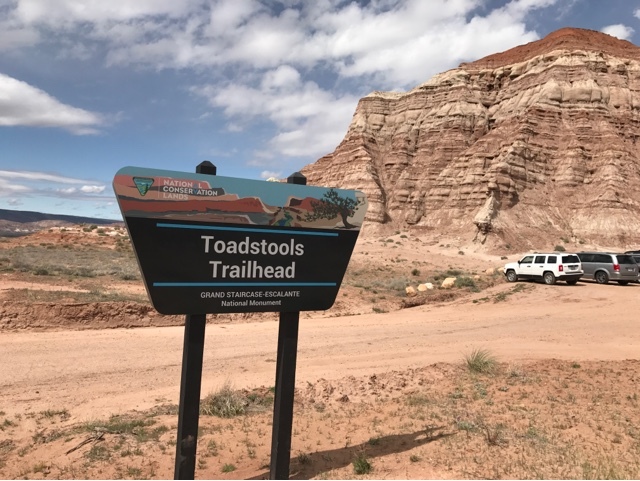 The Toadstools Trailhead is in the Grand Staircase - Escalante National Monument, just off US89, so it is easy to access. 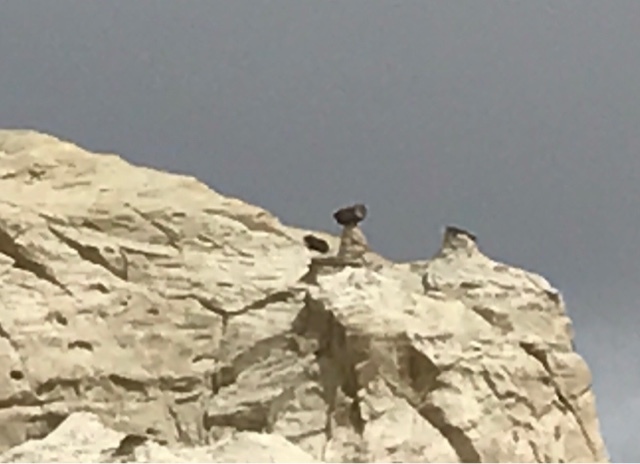 The hike is through a wash until the end where there is a short climb to see the toadstools. It is also not a strenuous hike. 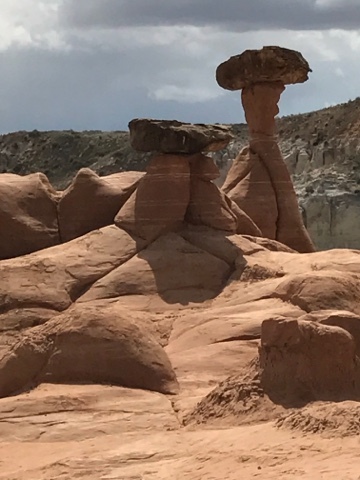 This picture above is the first and most prominent toadstool you come to. 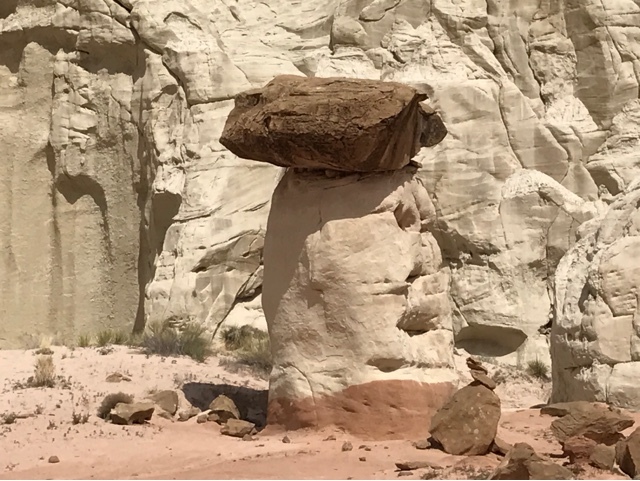 Make sure you climb up to see it at different angles of this tall toadstool. You can see the rain clouds that were in the area this day. 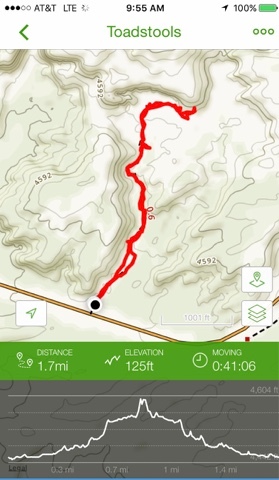 Thunderstorms will arrive later after this hike. 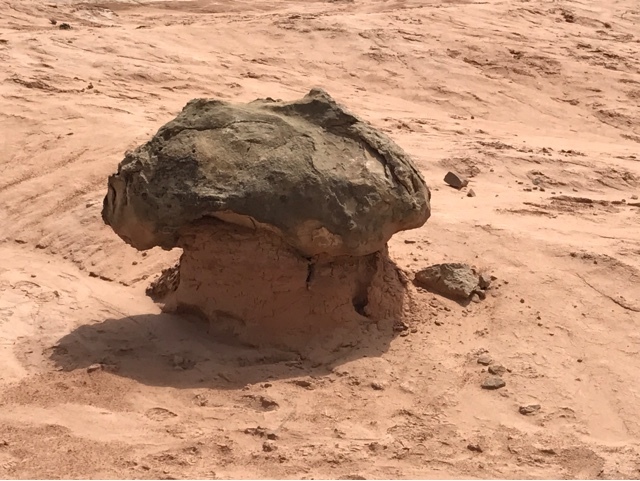 On this small plateau above the wash, there are other toadstools looking for your attention too. 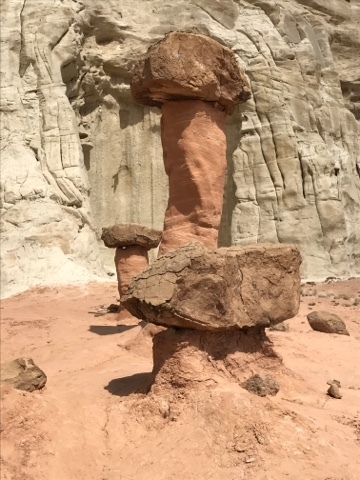 When driving to this hiking location there are other toadstools you can view from US89, but there isn't any void places to pull off to look at them. Not to be left out, is the shortest toadstool of them all. 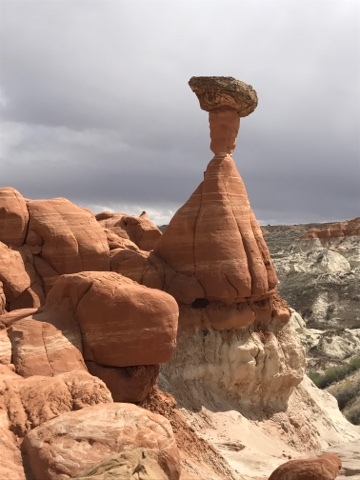 If you look up high you get a glimpse of this toadstool looking out over the rest of them and the hikers that come to visit. As you travel the west there are trailheads on the roadside that are often easy to access and may only take an hour of your time to see. Don't pass them all by as they are here for your enjoyment and some will be gone over time.